Halloween has passed us by and now the shopping centres are busily putting up Christmas decorations. The sight of them certainly does lift my spirits. I do think it's my favorite time of year. 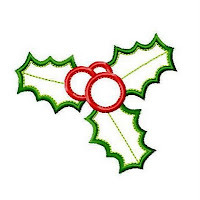 An enduring symbol of Christmas is a sprig of holly with it's bright red berries. 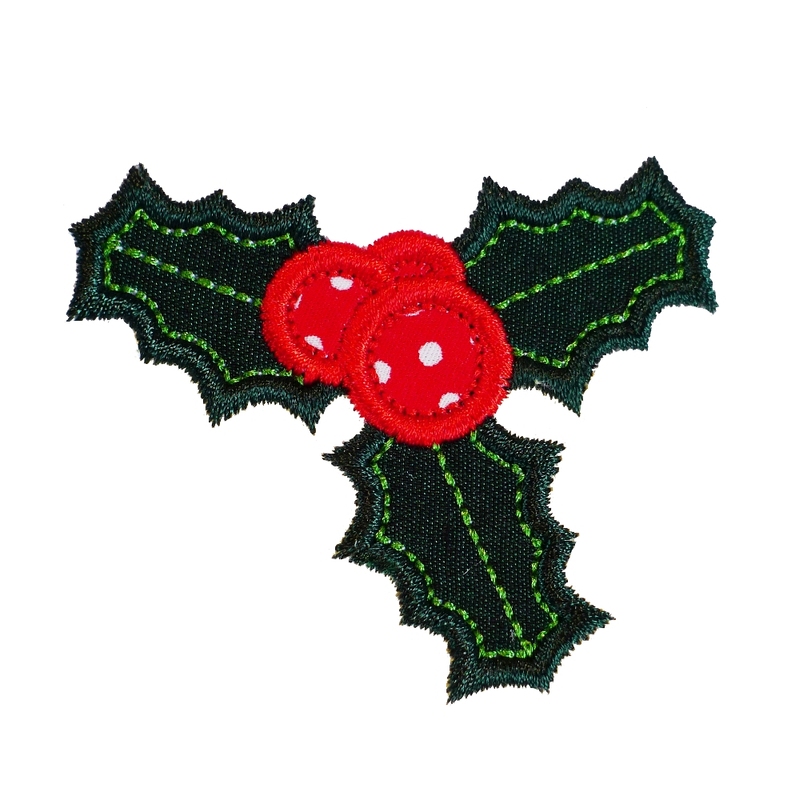 My newest design is called CHRISTMAS HOLLY. You've seen it here before? 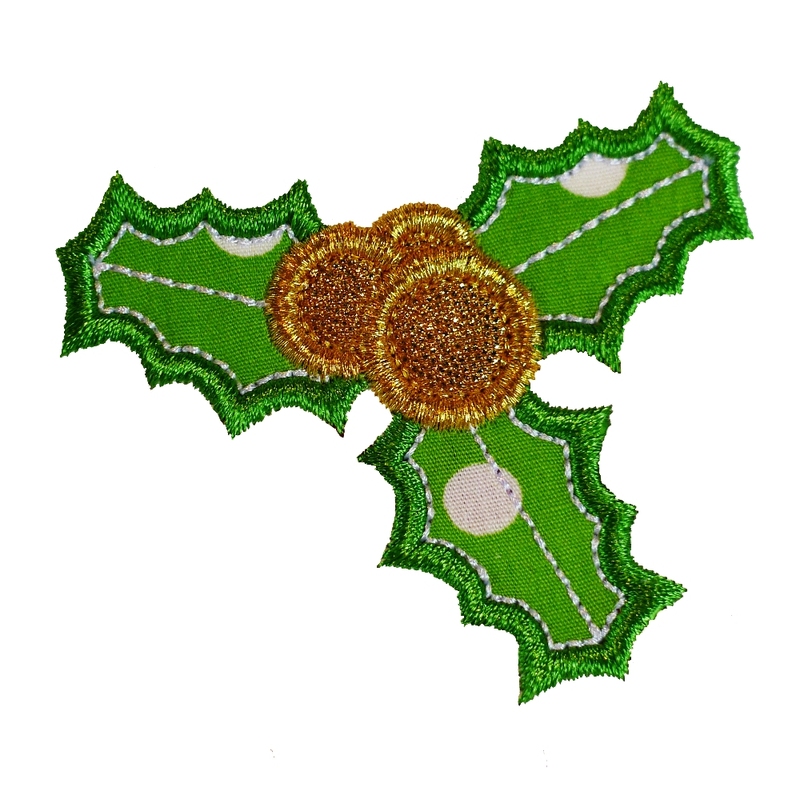 Yes, I couldn't help but borrow it from my Christmas Plum Pudding design since it looks delightful on its own. 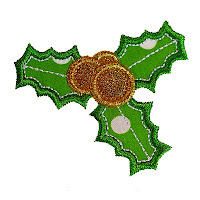 The sizings for the design are different from the Christmas Plum Pudding where they are quite a bit smaller. Perfect for adding a festive touch to your placemats, napkins...all your Christmas table linen! Perfect for a Christmas stocking! Looks really cute on a t-shirt or on a babies bib! Size 4x4 - exact sizes 2.98" x 2.61" and 3.9" x 3.39"
Size 5x7 - exact sizes 4.99" x 4.33"
This is a design where you can use your traditional Christmas colors of deep green and bright red however, because the outline is so obviously of Holly, it enables you to have a bit of fun with it and use other colors too. Make it more festive by using gold or silver metallic thread for the berries and the leaf veins.